Sapphire crystals in a clear crystal teardrop, bordered by gold circles. 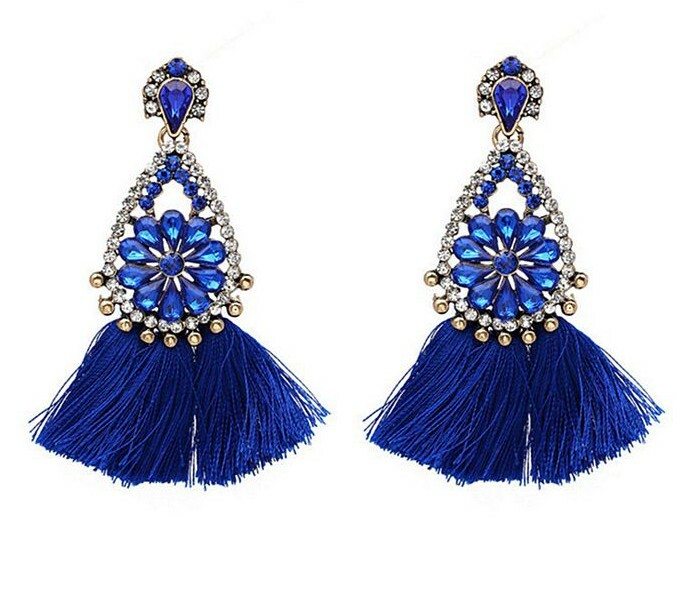 With deep royal blue tassels. Length: 8cm/3".